A motorist fled Thursday after the compact car she was driving struck and seriously injured a 9-year-old boy riding his bicycle along an East County street. Officers responding to West Main Street and Sunshine Avenue in El Cajon found the child lying in the roadway, unconscious, shortly after 7:30 a.m., according to El Cajon Police. According to witness accounts, the eastbound motorist apparently ran a red light and drove directly into the path of the child as he pedaled to the north, Lt. Stephen Kirk said. 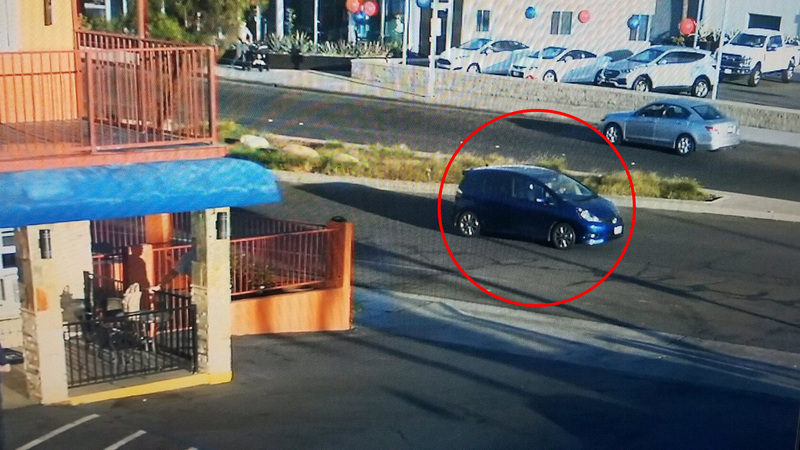 The driver of the dark-blue Honda Fit that struck the boy was described as a Latina with “bleach blond” hair, wearing large hoop earrings. Anyone with information about the accident was asked to call El Cajon police at (619) 579-3311.